This Mitzvite perfectly demonstrates how amazing the experience is when the video theme matches the invitation design. In this case we selected one of our favorite bar mitzvah invitation designs; Hollywood Premier and matched it with an Entertainment Tonight inspired video invitation we found on YouTube. 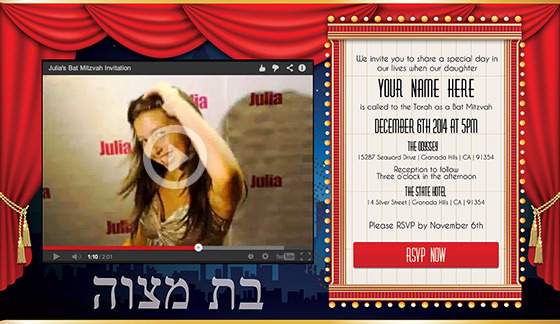 Click the invitation thumbnail to the right to see an unforgettable and truly unique bat mitzvah invitation.